The Mournes stand true to the words of songwriter Percy French as the place ‘where the mountains sweep down to the sea’. Those 28 peaks are not only one of Ireland’s most scenic areas and an Area of Outstanding Natural Beauty but also an adventurer’s paradise. Located in the south-east of County Down, this granite mountain range is the highest in Northern Ireland - including Slieve Donard (850m / 2,790 ft) as the highest mountain. Good bases for discovering the magic of the Mourne Mountains are especially Newcastle in the north – renowned for the huge variety ofvisitor accommodations and a centre for outdoor adventures, Kilkeel in the south or the nearby City of Newry in the west. The whole mountain range is crossed by trails allowing walkers, hikers, climbers or cyclists to discover the diverse landscape on routes for all levels of fitness. Easy terrain or high peaks - it's your choice. And still, the views you get are always a perfect excuse for taking a breather. By the way, the coast road bypassing the Mourne Mountians was first built in the early 19th century, before the only access was on foot or by sea. Probably one of the best known parts in the Mournes is the Silent Valley and the great stone wall bordering it. The name Silent Valley was created by the Belfast Water Commissioners, it had been formerly known as Happy Valley. The area covers 9,000 acres of mountain, once purchased from Lord Kilmorey in 1893, and is mainly used as a water catchment area for the city of Belfast. It is surrounded by a stone boundary, now known as the Mourne Wall, which was erected between 1904 and 1922 and is until today only hold by gravity. This wall has a total length of 35km (22 miles) and serves as a perfect guide for hikers and walkers too. 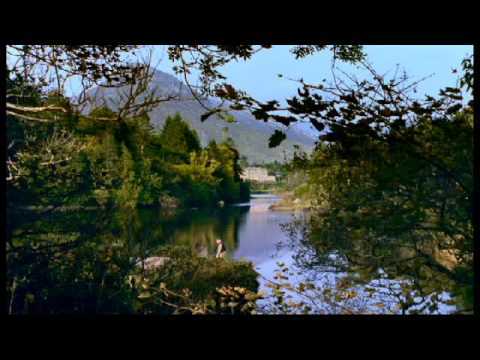 And did you know that “Game of Thrones” has been filming in various locations around the Mourne Mountains or that the mystical landscapes, grottos and cascades of Tollymore Forest Park inspired CS Lewis to create the land of “Narnia”? Click here for more things to see and do in County Down.